A centrifugal fan at the center of the system draws in cabin air through a 3-stage combined particle and gaseous filter that wraps 270 degree around the fan for maximum removal of harmful air pollutants from the air. The Atem Car is designed to deliver clean air to where it matters most – the passenger’s breathing zone. Car Air Purifier: Secure Atem firmly to headrests, seats, and other in-cabin areas with the car mount accessory. Desktop Air Purifier: Set up Atem on any flat surface, such as your nightstand or desktop, with a removable, zinc-alloy desktop stand. Travel Air Purifier: Bring Atem with you in a customized carrying case. 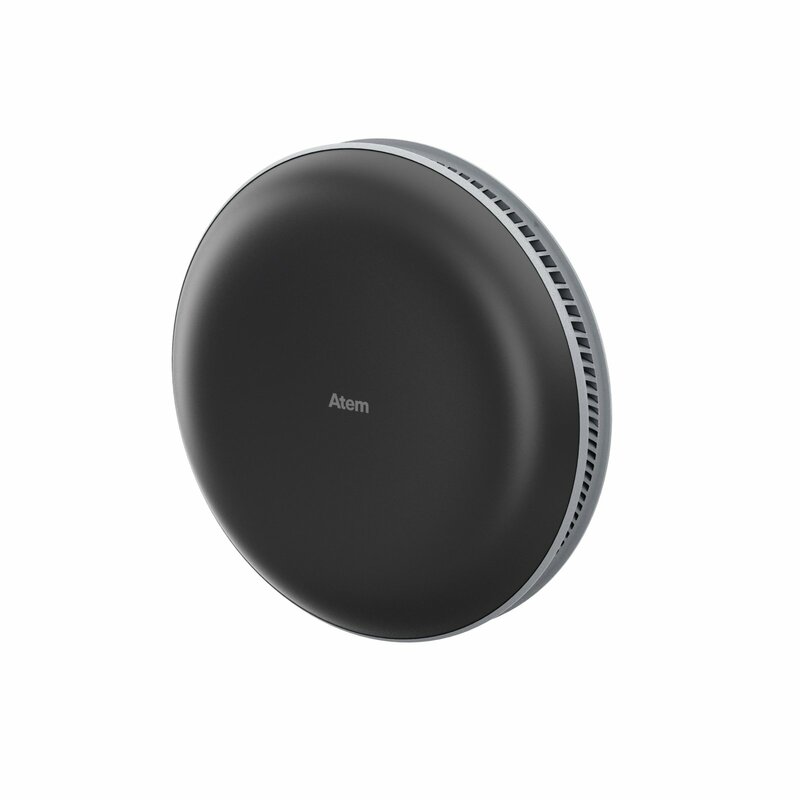 Portable Air Purifier: A mobile, rechargeable power bank powers Atem approximately 12 hours (medium default speed). Sync your Atem Car with the Atem mobile app to allow you to customize fan speed settings and activate a built-in child lock with just a few taps on your touchscreen. The app also monitors your filter life and uses built-in intelligence to turn the Atem on and off with your car.